A favourite mode of voyage for a long time, here are some fun facts you might not have heard of before about cruising. 1. Take your Best Friend – no not him… your DOG! Some cruise liners have kennels on board. That’s right — you can ship your pets over the high seas with you. A single day visit by a major ship can pump up to $1 million into a port city as thousands of passengers and crew take tours, eat and buy souvenirs. Cruise lines like Azamara, Crystal, Oceania and Silversea, are bringing back the “Love Boat”. Aboard all four of these cruise lines, gentlemen hosts are ready to sweep women cruising solo off their feet during an elegant evening of drinks, dining and dancing. The Gentleman Host program pairs independent female travelers with dashing companions who can take the lead on the Foxtrot and carry on witty, charming conversation. Alcoholics Anonymous holds meetings on board under the title “Friends of Bill W” meeting. Initially concerned with how other passengers would feel about AA meetings taking place on board, cruise ships announced the meetings as Friends of Bill W.
Some of the most decadent ships are decked out with parks. The Celebrity Solstice, based in Australia during the summer cruise season, has a rooftop deck featuring more than half an acre of live lawn. Fun fact: there is so much lawn that it requires permission from quarantine officials to dock in Australia. No woman had captained a major cruise ship until 2007, when Karin Stahre Janson from Sweden took charge of the Monarch of the Seas. River cruise ships on busy waterways, like the Nile, often have to tie up abreast of each other, giving guests a sticky beak into other ships as they walk through adjoining ships to reach the dock. To the delight of many, Princess ships serve cookies and milk at around 3 or 3.30am on the pool deck and in the Piazza. 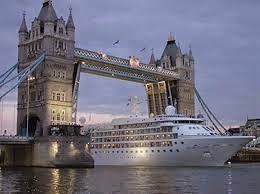 If you book your shore tours privately, as opposed to through the cruise line, you can save money. While many cruisers worry that if they book excursions on their own they lose the guarantee that the cruise line offers for returning to the ship on time, some private booking companies actually make the same guarantee too.